Hiking is a wonderful activity which fills your body with happiness hormones and keeps your body healthy and in shape. What is good for you is also good for your family. In order to get your children familiarize themselves with this activity, they must be properly introduced and equipped. The best hiking shoes for kids you can find are the most important part of their essential gear, which will make their trip more pleasant and more comfortable. Even though you as a parent feel that you are constantly buying boots or clothes for your kids, hiking boots are for kids are not to be an underestimated. 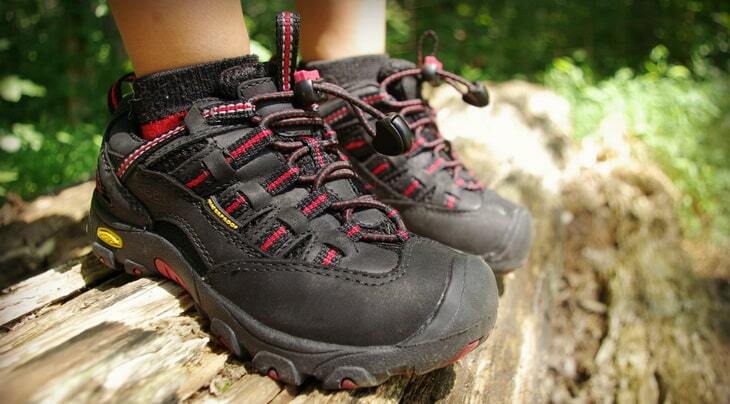 Hiking shoes for kids provide them with better support while walking and ensure their safety. They are growing really fast, and their need for hiking gear is constantly changing. For this reason people tend to invest less in hiking gear for kids. Even though it is not a rule that the more expensive the gear is, the more quality it has, the quality hiking shoes for kids does not qualify in cheap gear. In this buying guide, we are offering pointers on how to choose the best hiking shoes for your child. We are also providing suggestions on the best products on the market, which come with good price and great quality. We have tested and rated all of the suggestions and hopefully saved you some time for doing your own research and money you would have spent on low quality products. But first of all, we will advise you on which features are most important when choosing hiking shoes for kids and which are just show-off features. After reading this, you would know exactly what you are looking for and your kids will enjoy the benefits from it. Below are the important features you need to know about before you purchase just any hiking shoes for your kids. Keep these features in mind while shopping so you can buy a great pair that fit well. The general rule is that the heavier they are, the lower temperatures they can endure. It is not likely that a parent would take their child hiking in extreme temperatures, but small hiking expeditions on the snow could prove very efficient. They are proven to increase the child’s immunity system and there is no greater fun that snow for kids. If you are one of the supporters of this theory, and you are looking for hiking shoes for snowy conditions, go with a higher weight. This usually means that heavier shoes have a more quality rubber outsole and the material they are made of is with supreme quality. Although this is the general pointer, there are exceptions to the rule. Although many products claim to be completely waterproof this is not always the case. Sometimes a material can easily endure a rain, but a heavy rain or snow might represent an issue for the product. For this reason, when shopping for hiking shoes for your kids, you must consider the weather conditions and the hiking terrain. Another very important aspect of the waterproof properties is the stitching of the rubber outsole and the foot supportive material the shoes are made of. Sometimes, even though the material is waterproof, the poor stitching could lead to a leakage inside the shoe. The issue here is that the only way to know this is by trying the shoes on. All of our suggestions are reviewed and the waterproof properties are fully tested and their performance fully explained in each review. The ankle support is very important especially if your child is prone to ankle injuries. Even if he isn’t, a good ankle support makes sure he is protected from injuries. 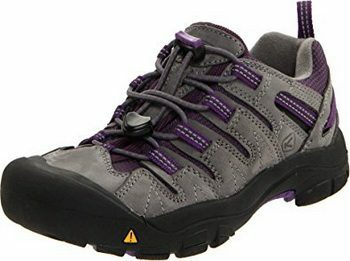 There are high ankle support hiking shoes and below the ankle hiking shoes. 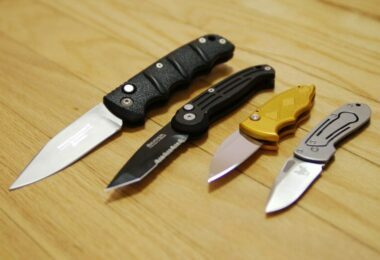 The ones you choose highly depend on the hiking terrain. Shoes with above ankle support are usually intended for hiking on higher altitudes since the humidity and moisture are higher there. Under the ankle shoes on the other hand are more suitable for rougher terrains and more stable weather conditions. They are also less heavy and it is easier to hike with them. However, they are also more expensive and they don’t protect the ankle from weather conditions and terrain varieties. Again, you must know the terrain in order to choose the proper ankle support feature for your child. It is hard enough to decide the boot size for yourself, but deciding a shoe size for your child is even harder. The first thing you need to do in order to ensure the most suitable match is to choose the right socks for the hiking trip. When buying hiking shoes, one should wear the socks he intends to wear on the hiking trip. And if you are planning on ordering online, make sure you check the reviews on how the size goes. Even though the labeled sizes are the same, different companies manufacture different actual sizes. It is also not wise to try on hiking boots at the end of the day. Hiking shoes should be fitting your child perfectly, and the only way to ensure this is by following our pointers to the point. However, every foot is different and every manufacturer is different. This is one of the reasons why people are sticking to the same manufacturer with every new purchase. Sometimes, the design could have a hypnotizing effect, especially on children. The truth is the design is a onetime present for them, as opposite to the quality shoes which he would be using for years to come. The most important thing to focus on is the comfortableness of the shoes and the protection they provide from mechanical and other environmental impacts. 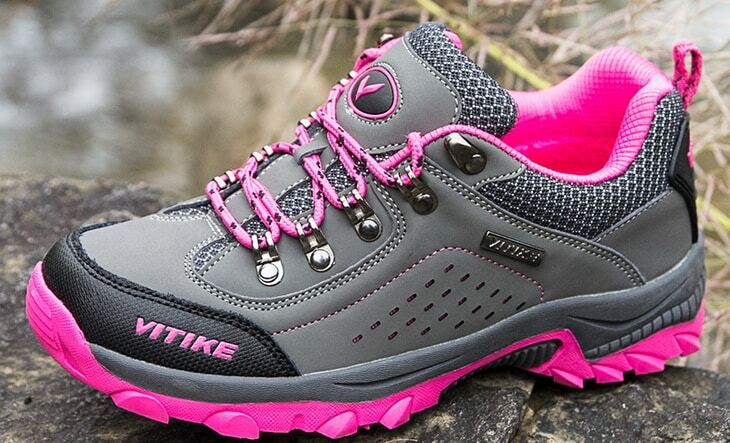 All in all, manufacturer’s brand is influencing every feature on hiking shoes. For this reason it is important that you choose a reliable manufacturer which will provide sustainable quality with every product they release. Our suggestions bellow include some of the best hiking shoes manufacturers for kids. It is also important to mention that every person needs are different, so what works for one person, might not work for another. For this reason, we have presented all of the features a product has and it is up to you to choose the most suitable one for you. Here is the part that you have been waiting for. We are going to review some of the best hiking shoes for kids right now. We hope your next pair is one of these! Specific features: Leather and textile hiking shoes with rubber sole, a secure fit lace capture system and a non-marking rubber outsole. 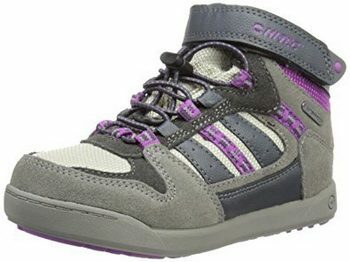 Description: This Keen Gypsum Hiking Shoe is manufactured for toddlers age 1 – 4. They are flexible and lightweight, which features are making them perfect for rougher terrains and mild weather conditions. They are also very durable and they have a lace-free system. This is an important feature in the kids’ shoes since it keeps them from tripping. Even though they are light, the rubber outsole provides cold weather traction. In addition, they are easy to put them on and off. Their main feature is the dual climate rubber outsole which is suitable for any weather conditions. It is also produced in a way that it prevents slips and falls. Other than this, there are parent features also, which include easy-clean material which could only be cleaned with sponge and periodically treated with leather cleaner. Their only downside is the size which appears to be one size smaller, so if you decide on choosing this product, make sure you order one size up. Related: Be sure your child wears good socks while they are on the trail with you. The Thermal 80% Merino Wool Socks can be found for kids, men and women and are under $20. Specific features: Leather hiking shoes with rubber sole, leather upper and lace up closure, features also include phylon midsole and textile lining and a non marking rubber outsole. 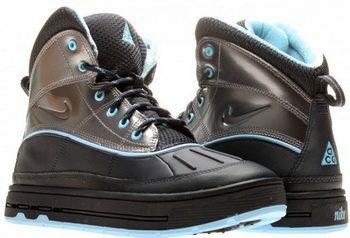 Description: This Nike Woodside 2 Boots is manufactured especially for the ladies. Other than the obvious design advantages it has, they are also extremely durable and comfortable. Their main disadvantage is their lace system, which is not widely accepted among parents. However, everyone who has ever used Nike shoes is familiar with the classic Nike cushioning which offers excellent support and provides extra comfort. The cushioning is especially important when it comes to kids shoes since it provides great support and improves their posture. A bad cushioning could cause a lot of troubles in a child’s foot development. For this reason, Nike focuses on this feature as their leading advantage. The rubber sole combined with the leather upper is making these shoes resistant to heavy rain and snow. However, they are not recommended for hiking on rough terrains since their ankle support is a bit higher than recommended for these terrains. The inside of the shoes are also worthy of the Nike name. It has a phylon midsole and a textile lining which is pretty comfortable and warm. 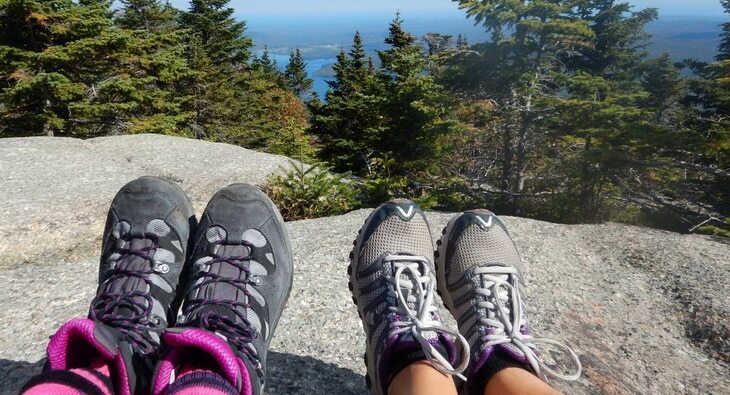 Although if you are looking for summer hiking shoes for your girl, it is better that you read some of our other suggestions. These shoes are keeping the temperature in the shoe warm and the side cushioning adds to this feature. Related: Get your child a great kids hiking backpack. The Deuter Fox 40 Kids Trekking Daypack is just over $100 and comes in a blue or green color. It has several zippers and pockets for storage. Description: This Columbia Youth Drainmaker Shoe is made for warm weather conditions only and that is its advantage as well as its downside. They offer amazing ankle support and are specifically designed for kids aged 4-8. They are suitable for hiking in humid conditions and wet areas. They also drain very well and they dry quickly which makes them perfect for a summer hike through a wet terrain. The description hybrid describes exactly this quality, their ability to endure water and dry terrains. The size also fits perfectly so you can check out the size chart provided in the link. Its design matches its quality. The surprising thing here is the price which is pretty low for the features Columbia offer. However, if you are looking for hiking shoes for colder temperatures, you might want to check out our other features and find a more suitable option. Its single layer mesh is breathable and its lacing system synthetic. They are lightweight, well ventilated, ultra breathable hybrid water shoes. The outsole is omni grip, made from rubber and with a non marking traction. Related: Your child should stay hydrated while on the trail. The Sfee Double Wall Water Bottle is a 17 oz cup that will help keep your little one hydrated, for under $15. Specific features: Rubber sole, manufacturer guarantees a money back satisfactions. Description: These Hi-Tec Omaha Boots for kids are featuring their mesh upper and the Big-Fit system. This means that they have a high ankle support which contained out of sock liners which is providing extra comfort for your child. The construction of the shoe is made specifically to be waterproof, which doesn’t mean that it can be submerged under water, but it does endure a little water. The material it is made of, is completely waterproof and it is perfectly attached to the rubber outsole so that there is no possibility of water coming inside. The soft padded collar is a design addition which also adds to the comfort. The most important part of the shoe is its construction which is the main reason for its waterproof feature. 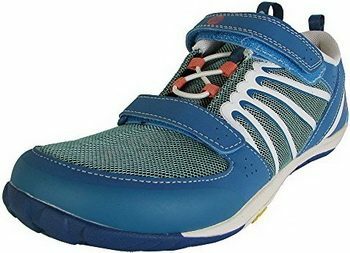 These Hi Tec shoes are designed for kids aged 5-9 or adults with small feet. 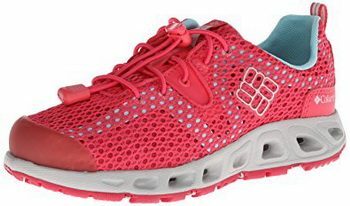 These shoes are in the low price range and they are a great deal for the features they offer. Related: Keep your child protected with quality hiking pants. The Columbia Boy’s Silver Ridge III Convertible Pant are comfortable, come in 2 colors and convert to shorts. Specific features: Synthetic mesh upper, rubber sole, hook and look closure, EVA midsole for added comfort, vibram sole for sure footing. Description: These Merrell Crush Shoes come into the lightweight category. They provide bellow the ankle support which makes them perfect for long hikes and backpacking trips on different terrains. 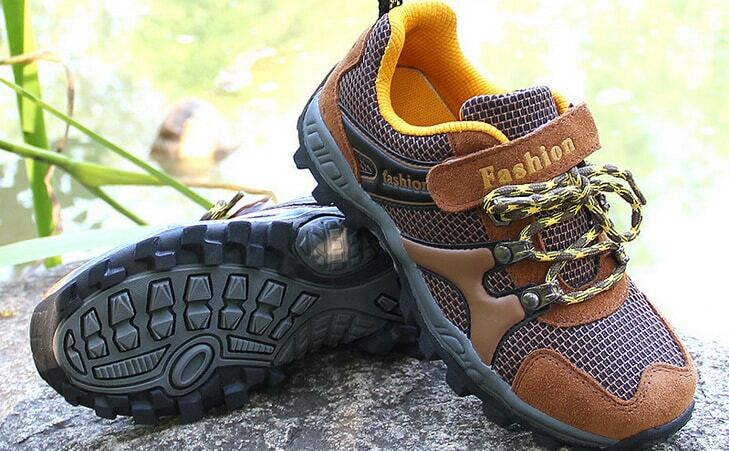 Although it is a great design made for hiker kids, the manufacturer promotes them as boys’ shoes. However, our little ladies liked them too. The “boys” promotion name comes from the fact that they are made for wider feet, instead of long and thin feet as the girls usually have. 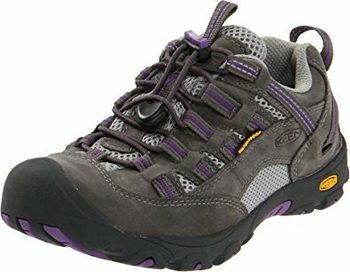 Nevertheless, all feet are different and if your girl has wider feet this would be the perfect choice for upgrading her hiking gear. The material is synthetic, but unfortunately, they are not waterproof. 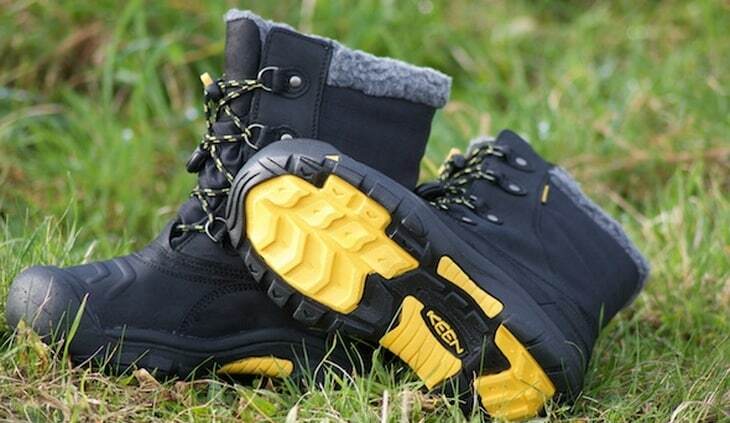 However, they are perfectly good for hiking on mud terrains or after rain. Their biggest advantage however is their breathability. The synthetic material might not be waterproof, but your kid’s feet will never sweat inside their shoes again. 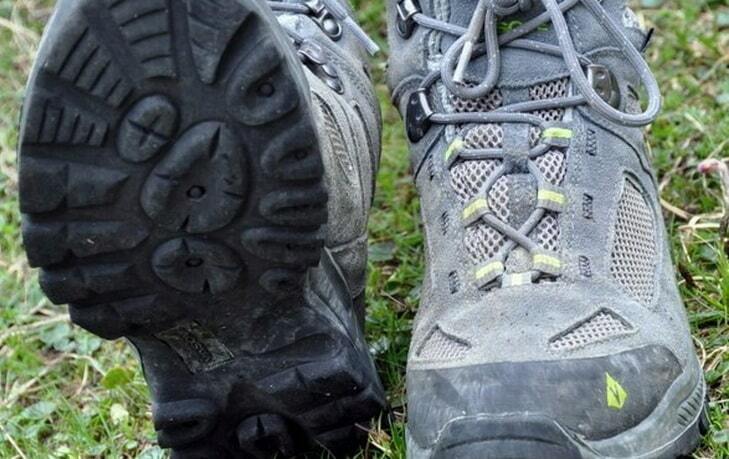 The Merrell’s breathability properties are indeed great. Another great feature is the Vibram sole. It is a rubber sole with an extra layer added which provides extra stability and sure footing even on wet surfaces. Related: Protect your child’s head with a nice hiking hat! The Outdoor Research Kids Helios Sun Hat is about $20 and is made of all nylon and can adjust. 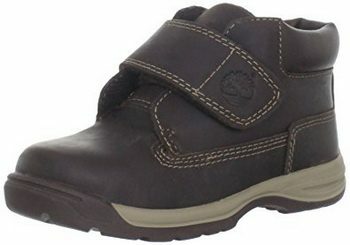 Description: These Keen Alamosa Shoes are manufactured for toddlers aged 1-4 years. They are intended to be used by both boys and girls and there are specific designs and colors for every taste. They will provide your child comfortable shoes all year round and the stylish design is only an addition to the features. They are manufactured from waterproof materials which endure humid and seriously wet conditions, so you wouldn’t have to worry about their feet being wet. The lace capture system is appropriate for the age and the non marking outsole makes the shoe perfect for toddler walking on wet floors. The materials this shoe is manufactured are also parent friendly which means their cleaning process is very simple. The material these shoes are made of are leather and textile for improved moisture wicking. And the lining is completely breathable and waterproof as well. This KEEN product is counted in the hybrid innovation line, which means that its design has derived from the combination of a hiking boot for greater stability and foot protection and sandals, whose design is responsible for the comfort and toe protection. With these shoes, the only issue would be picking up the right size for your toddler; the rest is taken care of. However, since it is in the higher price range, if they don’t fit in your budget, look among our other hiking shoe suggestions. Related: If you will be outdoors all day, consider the Neutrogena Wet Skin Kids Sunscreen Spray which is for kids in and out of the water. For under $20, you get a 2 pack of protection that lasts. Description: These Timberland Earthkeepers Boots are made in the traditional Timberland design which will make your toddler look adorable. They come for toddlers aged 1-4 years, or little kids aged 4-8 years. In addition to this, these shoes are completely water resistant, which will keep your little one’s feet dry and warm in any weather conditions. However, these are not shoes made for warmer temperatures. They are made with the extra cushion support which eases the shock absorption and makes your toddler’s running easier. For the parents who haven’t used Timberland shoes before, it is important to mention that the size is smaller than expected so make sure you order a size up if you are in doubt between sizes. The insoles are extremely comfortable, the leather is soft and flexible and most of all it is guaranteed to keep your little one warm and dry. All in all, they are great quality shoes which toddlers love and parents too. 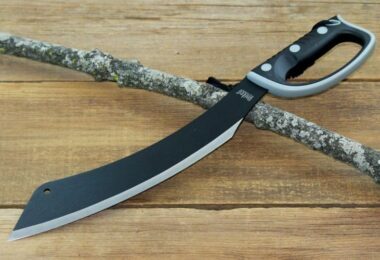 Another advantage is that if you don’t manage to get the size right, which happens more often than you assume, the customer service is very helpful and will make the exchange fast and easy. Related: Keep your kids’ eyes protected with some sunglasses. The VIVIC Kids Sport Sunglasses are under $15 and can be used for boys or girls. Kids and toddlers have a need of quality shoes just as much as adults. The main issue here is that an adult has to buy hiking shoes once in every 5 years, and kids require a new pair of hiking shoes every year because of their rapid growth. However, the happiness of our little ones’ faces while they are enjoying their time in the nature is worth every cost and trouble. You can always resell them when they outgrow them. The suggestions we provided are one of the best hiking shoes for kids on the market and there is something for every kid’s taste and parent’s requirements. Hopefully this buying guide will save you the hours of research and help you learn what is truly important when buying hiking shoes for your kid. The fact is, when looking for hiking gear for your kid, there is a lack of reviews and it is extremely helpful to know which features to look for in a hiking shoe. This buying guide will do exactly that, it will guide you through the process of choosing the best hiking shoes for kids! 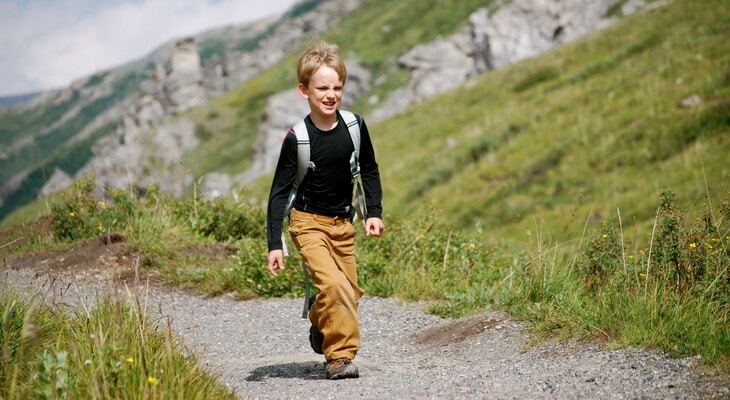 Keep in touch with us and share your kids’ experiences on hiking shoes in the comments bellow. 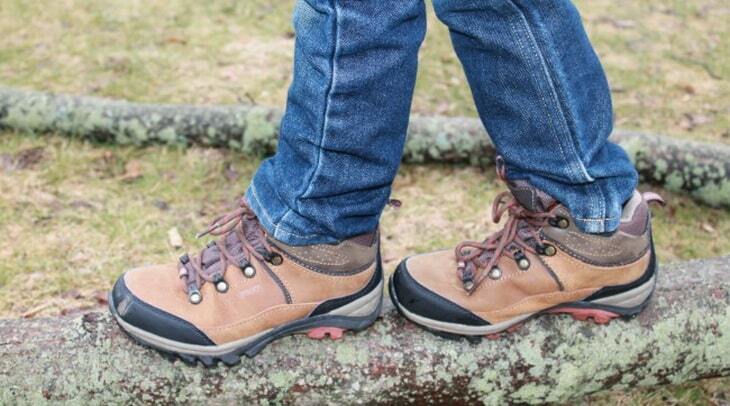 Which brand of hiking shoes is your family using? Have you ever had a negative experience with a certain hiking brand? Share your thoughts and help out our parent community in making up their mind.